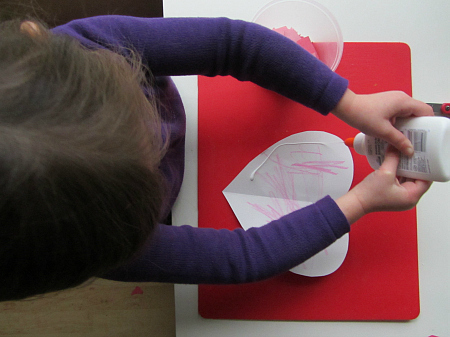 This is a fine motor skills builder disguised as a Valentine’s Day craft for kids. 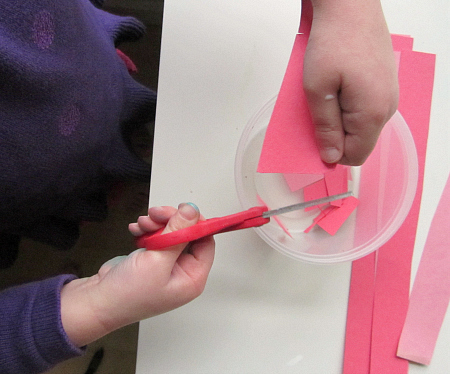 Learning to cut is tricky and practicing scissor skills is important. 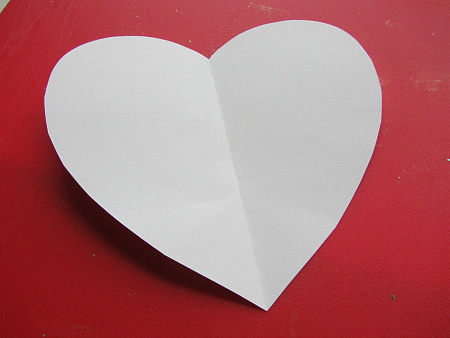 This simple craft works on those skills then adds in some more while children carefully place the cut paper into a heart. 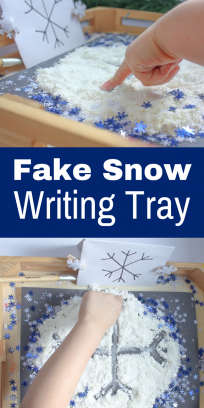 This is a great way to use up scrap paper too. Fun, frugal and educational. Gather your materials. 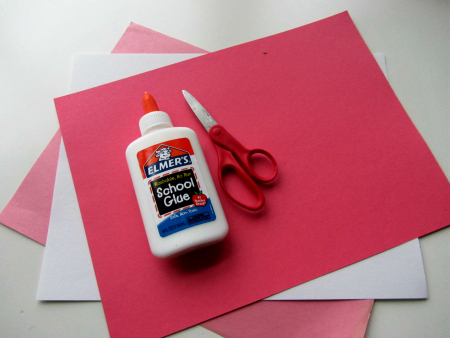 You will need a sheet of white or light pink construction paper, strips of red and pink, something to color with if desired, scissors and glue. Also you might want a container to hold the cut paper. 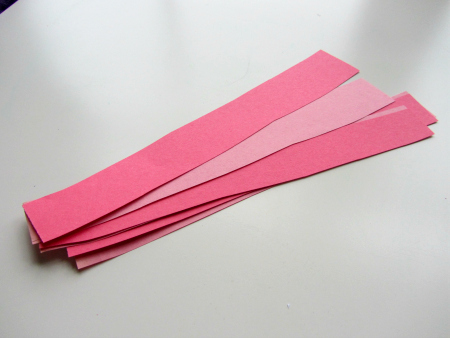 Start by cutting larger sheets/ scrap pieces of red and pink paper into strips. This helps little hands cut independently. Now it’s time for your little one to cut. 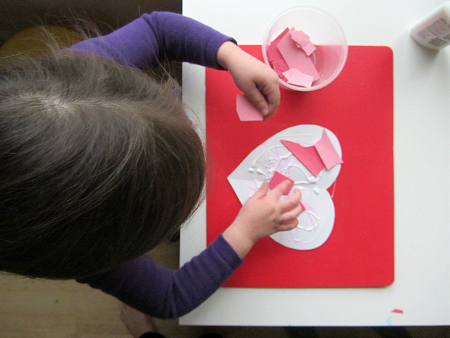 Draw a heart and cut out while they are happily cutting the paper. Hand your child the heart and if they want they can color it. I had not planned on this step but my daughter apparently had. Let dry. 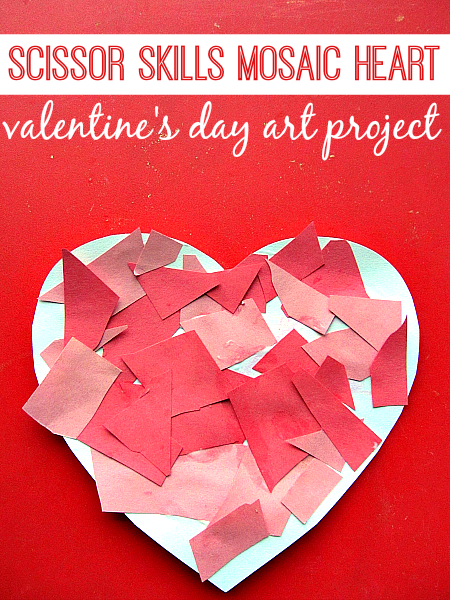 You can add string and hang this up like our coffee filter hearts we made last year or write a message on the back and give it as a valentine. My daughter immediately asked to give hers to her preschool teachers. I don’t think they read the blog so hopefully I didn’t spoil the surprise! Love. It! 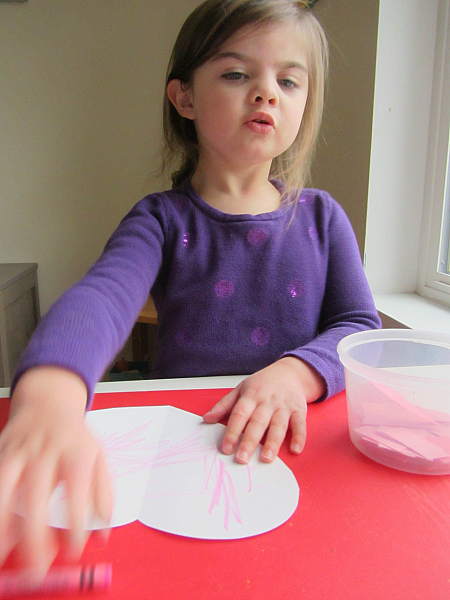 You have such great ideas that are simple and require little for the parent so the child does the craft…thanks! We’ll be doing this one soon. Love all your ideas and plan to do this is my four year old preschool class. Your kids are very lucky to have a caring and devoted mom! My kids are 15 and 19 now and I miss all those fun projects that meant so much! HUGS! Her gÃ¼n mutlaka bloÄŸunuza girip ne yapmÄ±ÅŸsÄ±nÄ±z diye bakÄ±yorum. Harika bir blog ve harika bir anne. Elinize saÄŸlÄ±k. Hi! 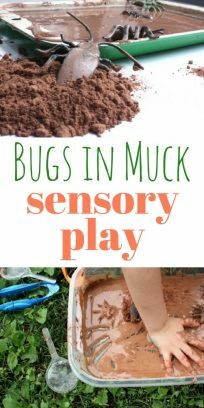 what a great resource for parents.I love doing holiday activities with my toddlers. thank you! 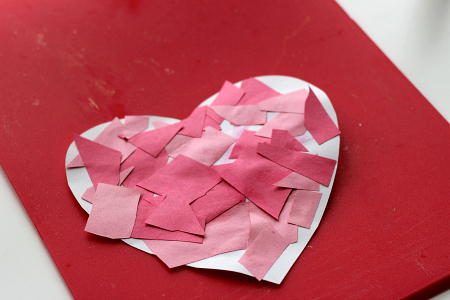 Here is a kids site that has a great promotion going on for Valentines Day. Hello! 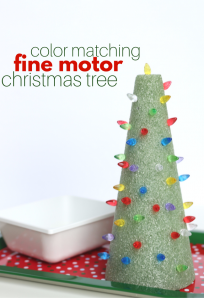 I just wanted to let you know that your craft has been featured at a round up over on my blog! Come on by and check it out!